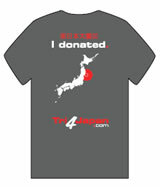 We are very grateful to the following individuals who have made personal donations to Tri4Japan. We would like to name as many personal donors as possible to recognise their support and thank them for it. 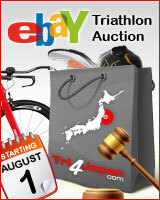 Please let us know by email if you do not wish your name on the website. Blade printing- designed Tshirts, printed Team Tshirts for FOC. All TCL sports Staff- working on the PR, Face book set up and administrative job FOC. Flostream warehouse -distribution for Tshirts at cost price.